My father passed away three years ago at the age of 91, and I certainly won’t need Father’s Day this month as a reminder to think about him. My home is filled with things that he made; the ones I value most he whittled from bits of wood. Arch Davis drew the Penobscot 17 with three rigs—gunter sloop, ketch, schooner—and we take a look at his sloop-rigged version. 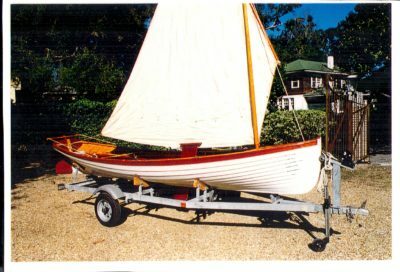 The plywood lapstrake cruiser sails and rows well and is well suited for meandering among small islands and along convoluted coasts. 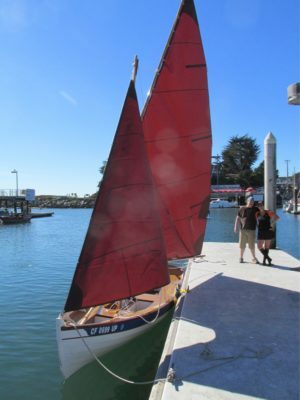 A young couple with an abiding thirst for adventure built a cedar-strip version of a faering and traveled 2,000 miles under sail and oars from Wisconsin to the Gulf of Mexico. Their boat took a bit of a beating along the way and almost sank on the Mississippi River, but the partnership stayed afloat and the bonds between the two only grew stronger. 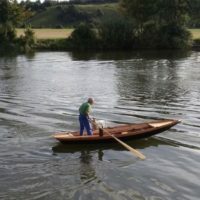 Richard Nissen lives in a houseboat on the Thames and has gathered a collection of small boats. 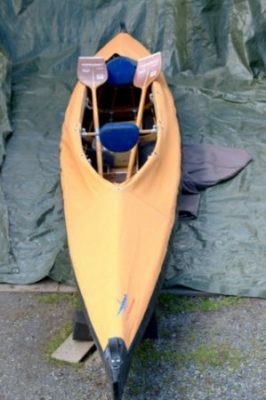 After he visited Venice and learned how to row in the Venetian style, he decided he needed one more, and built a s’ciopon, a small traditional workboat that he could row standing up. Windfalls and driftwood are often a source of woods better than any you can buy. A shop-built sled holds the irregular shapes of found wood securely on the bandsaw so you can more easily put it to good use.